Entertainment - Page 371 of 387 ..::That Grape Juice.net::.. - Thirsty? February 5th will see fans of NBC‘s hit musical series ‘Smash’ glued to screens for its season 2 premiere. As previously reported, the show’s return to TV will see ‘Spotlight’ hitmaker Jennifer Hudson bring her chops to the small screen as Veronica “Ronnie” Moore. Her season-long run on the show has received much publicity, but it seems NBC wants to give viewers new reasons to tune in every week leading into the season premiere. Enter ‘Can’t Let Go’ – Hudson’s soaring ballad set for feature on the show. Joined by the show’s other stars as background singers (including fellow American Idol alum Katharine Mcphee), see below for Hudson blowing the audience away in ways only she knows how. With only weeks to go before she hits ‘Superbowl 2013′ for what many hope will be a groundbreaking performance, Brand Beyonce is set to reach all new heights in the months that follow. Now watch as Darmirra Brunson taps into the intensifying demand for the star with a hilarious take on her, in the spoof ‘Celebrity Therapy With Dr.D‘. NBC unveils its latest look at crime drama untold in the form of its Meagan Good-led new series ‘Deception’. Already winning over many-a-critic, Good (Detective Joanna Locasto) is joined by a host of young Hollywood hitmakers like Laz Alonzo, Wes Brown, and more. Check out this hilarious parody phone call between Reality TV Royal Kim Kardashian and Pop icon Beyonce, a tear evoking take on Kim’s attempts to pally up with the star. In need of a serious laugh? Ever keen to keep an eye and ear on what’s fresh, That Grape Juice pours a new glass of comedic tea by introducing a new segment to its growing TV sister site – ‘Comedy Corner’. In this, the golden age of Youtube and social media, a host of new (and seasoned) talents have taken to the platform and others like it to hilariously highlight the happenings of Pop culture. Now, in a weekly serving, get into the best of web comedy only on That Grape Juice TV! The Queen of Shades Patti Lahelle deals her last hand of laughs with the latest installment of fan favorite ‘Got 2B Real’. Bringing back all your favorite divas – Patti Labelle, Dionne Warwick, Beyonce, and Mariah Carey to do a diva quadruple team on ‘Queen of Shoul’ (all puns intended) Aretha Franklin. Press play to get into Part 1 of all the action! Get into more ‘Got 2B Real’ here. If you there’s a chance you have yet to receive your fill of scary movie spoofs, well Charlie Sheen and the gang are rearing up the once popular movie series up again just for you. Indeed, filled with a host of guest appearances from Katt Williams and actresses Lindsay Lohan, Heather Locklear, ‘Real Housewives of Atlanta’s’ Sheree Whitfield, and more, it seems Sheen is back at it – spoofing the hottest in scary movie films since their latest parody trek ‘Scary Movie 4’. Fans in love with the love story of Kal & Tariq or the pressing dramas of CW‘s ‘L.A. 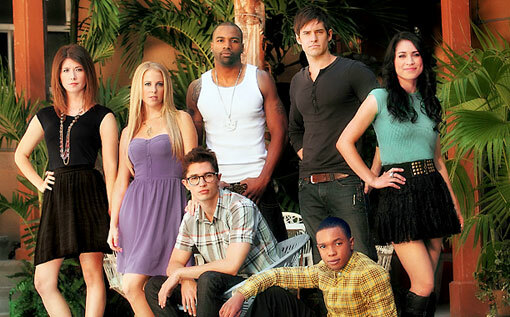 Complex’ other characters probably won’t love hearing news of its cancellation. Indeed, the Canadian show that certainly built its fair share of buzz on the American side of the border, was passed on renewal for a third season by its Canadian parent channel. Now, American audiences have been handed news that the series will not be renewed on CW either. Despite series-long earning generally positive reviews, the show courted extremely low viewers on a weekly basis. This is separate from already holding the record as the lowest-ever ratings for a broadcast drama series premiere. However, much like CW‘s former hit series ‘The Game’, there is already buzz brewing that the series may be picked up by another channel. Expect to see much of Jamie Foxx, Samuel L. Jackson, Leonardo Dicaprio, and ‘Scandal’ starlet Kerry Washington as they hit the promo trail in support of their new movie ‘Django Unchained’. The Quentin Tarantino directed film will hit theatres on December 25th, but is already stirring up Oscar buzz. Before you can see the four in action on the silver screen, catch Jamie on last night’s ‘Leno’. Hilarious indeed. 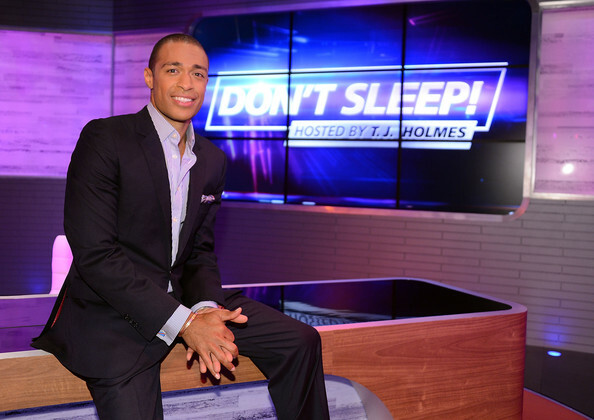 BET’s new current affairs show ‘Don’t Sleep’ has been gaining ample buzz since launching in October. Anchored by former CNN journalist T.J. Holmes, the show tackles topics of politics, popular culture, among other issues pertinent to the Urban diaspora. This week’s episode (28) features a chat with ‘Django Unchained’ actor Jamie Foxx, as well as a discussion on gun control after Sandy Hook and the events that shaped 2012 . As reported here, Grammy winner Jennifer Hudson has already built a career of smash hit books, songs, and movies, but now it seems she’s looking to add the small screen to that growing list. For, as fans gear up for season 2 of NBC‘s hit show ‘Smash’, they will note Hudson’s inclusion on the series as the talented ‘Veronica Moore’. Joining a host of talented actresses/singers including fellow American Idol alum Katharine Mcphee, see above for the behind-the-scenes action of the series. See below for its season 2 trailer. This is certainly shaping up to be a “must see”! ‘BraveHeart’ hitmaker Ashanti is braving the acting front as news has surfaced the songstress is set to join Lifetime Network‘s hit series ‘Army Wives’ as a regular cast member. Set to play a mom of 3, the songstress – whose previous acting credits include ‘Coach Carter’ and ‘John Tucker Must Die’ – will see her debut aboard the show via its 7th season. No word on when the show’s 7th season will begin. This week’s episode (25) features chats about Chicago gang violence with the mother of fallen rapper Lil JoJo, Chicago gang members and the Sleep Talkers, Isiah Thomas, Malik Yusef and Judge Mathis about Chicago’s violence problem..